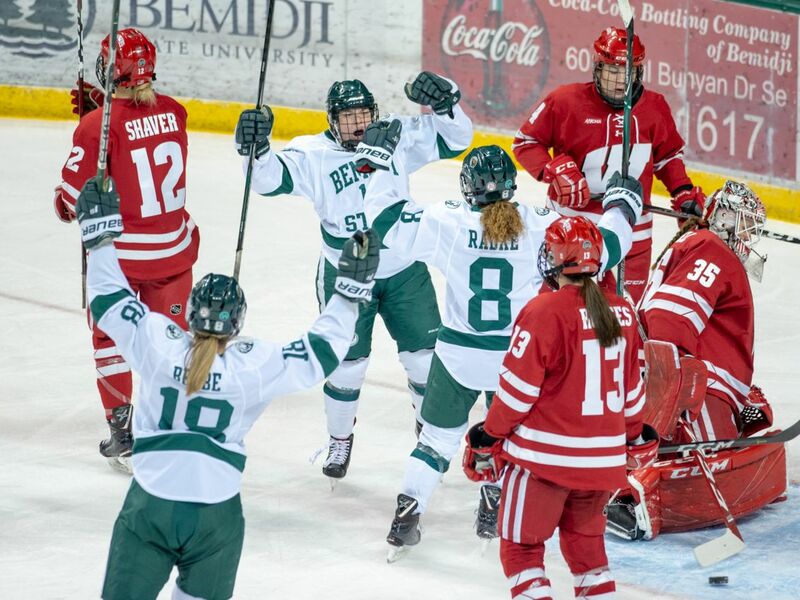 For the first time since 2014 the Bemidji State University women’s hockey team defeated the No. 1 team in the nation after the Beavers (10-15-2, 7-8-2-0 WCHA) defeated No. 1 University of Wisconsin 2-1 Friday night at the Sanford Center. Sophomore Lydia Passolt scored the game-winning goal with 11:25 left in the final period to give Bemidji State its first win over Wisconsin since Jan. 16, 2015 (16-0-1). Redshirt-sophomore Lauren Bench was phenomenal in net and earned the game’s first star after she stopped 29-of-30 shots by the Badgers to earn her sixth win of the season. After losing to Wisconsin 4-0 last Saturday, Bemidji State will spend the next two weekends on the road before wrapping up the 2018-19 regular season. The Beavers travel to No. 9 Ohio State University Feb. 8-9 before travelling to St. Cloud State University Feb. 15-16. BSU then hosts No. 2 University of Minnesota Feb. 22-23 for the final series of the regular season.